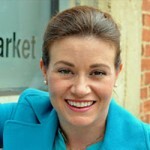 Lisa Calhoun is founder and CEO of Write2Market. The Atlanta public relations firm is recognized as one of the Top 10 Agencies in the United States for StartUps by The Agency Post. Her work appears in Wired, Fast Company, Entrepreneur, and CEO.com. Lisa has been honored by the American Business Awards as a Female Entrepreneur of the Year. Twitter @Lisa_Calhoun. In the last year, according to Pitchbook data from 2013-2014, investment in companies with headquarters in the Southeast is up 41% year over year for deal sizes between $100K and $10M. Other signals also point out that the southeastern startup environment is on the rise—like Google recently scouring nine regions in the country and resolving to deploy Google Fiber first in the Southeast. Some states also saw the number of deals jump. Tennessee specifically saw 12.5% more deals of this size in the last year. Tennessee is an unusual state, even in the Southeast. Its specific history may make it the long-sought regional center for startup activity. Consider this one fact to get the character of Tennessee: there is only one monument in the United States to commemorate both the Union and the Confederate armies. It’s in Tennessee, on the lawn of the Green County Courthouse in Greeneville, TN. This kind of diplomacy—or empathy—in the root culture is at the core of creating a powerful entrepreneurial ecosystem. 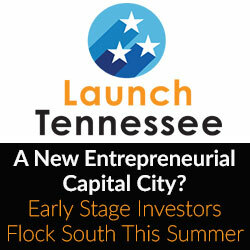 Launch Tennessee (LaunchTN) stands out an example of what’s working in the Southeast. It is the public-private partnership funded in part by the State of Tennessee that manages the state’s entrepreneurial endeavors, including its network of incubators. In a private equity and venture atmosphere where “too many dollars are chasing too few opportunities,” LaunchTN’s programs are gaining a reputation for innovation in creating great startups from the ground up. They send startups to New York and San Francisco every year on fundraising and awareness tours, and the number of stops they make just keeps growing. “Launch Tennessee is making it happen. They have introduced a terrific conference that benefits startups, not only in Tennessee, but across the Southeast, and they are generating a lot of buzz for entrepreneurship across the state,” says Andy Weissman of New York-based venture firm Union Square Ventures. Through the state’s $30M INCITE Co-Investment Fund, which is managed by Launch Tennessee, over $23M has been deployed, leveraging an additional $72M in private capital being invested in Tennessee companies. In addition to their focus on capital formation, Launch Tennessee manages a statewide accelerator network with nine sector focused incubators that focus on specialty areas of entrepreneurship like Ag-Tech, 3D printing (The largest 3D printer in the world is in Tennessee at Oak Ridge National Labs.) It’s also supported some 358 companies—and counting—accelerate. “We’ve gained a tremendous amount of insight from our mentors and the experts that participated in our learning days” says Patrick Hunt, Co-Founder and Chief Executive Officer of Fiveworx. “We’ve made more valuable connections through working with LaunchTN than we otherwise would have in the same period of time.” The Knoxville-based startup leverages its proprietary platform and big data analytics to drive energy efficiency actions by consumers of its electric utility clients. Governor Bill Haslam says, “Tennessee knows that what has worked in the past won’t work in the future. The hard work and volunteer attitude that got us here isn’t enough to take us where we need to go. That’s why our vision is to create the most entrepreneurial ecosystem in the country.” Since its founding, Launch Tennessee has supported the creation of some 1,500 jobs through its unique, statewide accelerator network. “Our focus is on productive, win-win collaboration across the state and region so it’s exciting to see us continue to engage more partners across our various initiatives,” says Charlie Brock, CEO of LaunchTN and himself a successful and active serial entrepreneur. Perhaps the best symbol of Tennessee’s unique approach to homegrown yet collaborative success is 36|86, a regional startup conference run by Launch Tennessee. It’s June 8-10 in Nashville. Experience Tennessee’s entrepreneurial spirit by visiting thirtysixeightysix.com.